Votive offerings to God, the Virgin Mary and the Saints as a symbol of devotion and gratitude in fulfiment of a vow: ex voto with hearts, ex voto with flames, ex voto with angels, ex voto Sacred Heart of Jesus, ex voto with filigree, ex voto for good marriage, ex voto for maternity and fertility, anatomic ex voto, letters Per Grazia Ricevuta PRG (for Grace Received). Design reproduces holy ex voto of the centuries-old Italian tradition: every piece is hand-made in copper or metal with the ancient tecniques of fusion and chisel and made precious with a 24k gold or a 1000/1000 silver bath. Sacred Heart of Jesus, big size, cm 15 x 19. 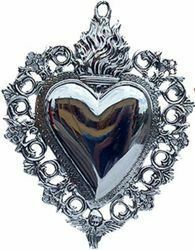 Sacred Heart of Jesus, medium size, cm 13 x 16. Sacred Heart of Jesus, small size, cm 11 x 12,5. Dimensions: cm 12,5x10 (4,9x3,9 in). 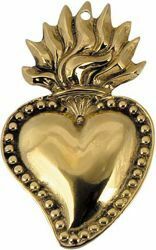 Devotional ex voto of high craftsmanship, in 24k gold or 1000/1000 silver plated gilded brass. From the Latin phrase “ex voto suscepto”, meaning “from the vow made”. This votive ex voto is delivered in a cardboard gift box with a Certificate of Origin and Guarantee. Dimensions: cm 17x22 (6,7x 8,7 in). 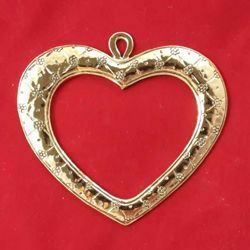 Devotional ex voto of high craftsmanship, in 24k gold or 1000/1000 silver plated gilded brass. 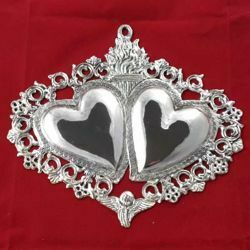 From the Latin phrase “ex voto suscepto”, meaning “from the vow made”. This votive ex voto is delivered in a cardboard gift box with a Certificate of Origin and Guarantee. Dimensions: cm 16x21,5 (6,3x 8,5 in). 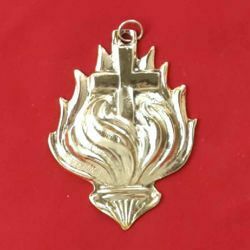 Devotional ex voto of high craftsmanship, in 24k gold or 1000/1000 silver plated gilded brass. 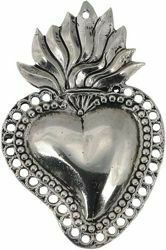 From the Latin phrase “ex voto suscepto”, meaning “from the vow made”. 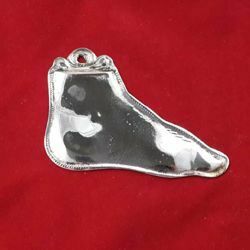 This votive ex voto is delivered in a cardboard gift box with a Certificate of Origin and Guarantee. Dimensions: cm 10,5x11 (4,1x4,3 in). 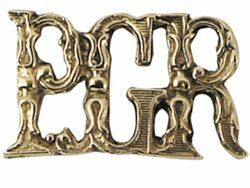 Devotional ex voto of high craftsmanship, in 24k gold or 1000/1000 silver plated gilded brass. From the Latin phrase “ex voto suscepto”, meaning “from the vow made”. This votive ex voto is delivered in a cardboard gift box with a Certificate of Origin and Guarantee. Dimensions: cm 14x18 (5,5x7,1 in). 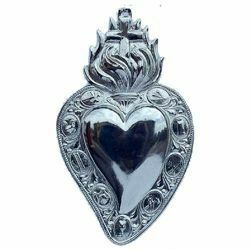 Devotional ex voto of high craftsmanship, in 24k gold or 1000/1000 silver plated gilded brass. From the Latin phrase “ex voto suscepto”, meaning “from the vow made”. This votive ex voto is delivered in a cardboard gift box with a Certificate of Origin and Guarantee. Dimensions: cm 9x10 (3,5x 3,9 in). Devotional ex voto of high craftsmanship, in 24k gold or 1000/1000 silver plated gilded brass. From the Latin phrase “ex voto suscepto”, meaning “from the vow made”. 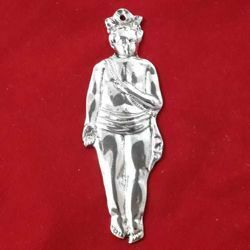 This votive ex voto is delivered in a cardboard gift box with a Certificate of Origin and Guarantee. Dimensions: cm 11x13,5 (4,3x5,3 in). 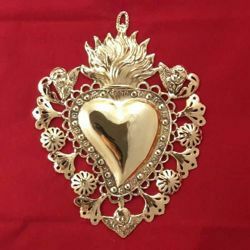 Devotional ex voto of high craftsmanship, in 24k gold or 1000/1000 silver plated gilded brass. From the Latin phrase “ex voto suscepto”, meaning “from the vow made”. 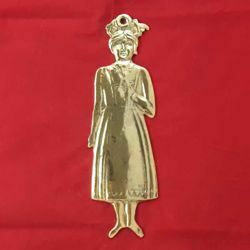 This votive ex voto is delivered in a cardboard gift box with a Certificate of Origin and Guarantee. Dimensions: cm 17x19 (6,7x 7,5 in). 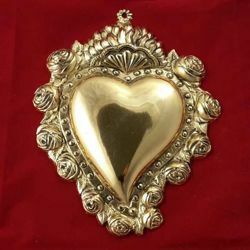 Devotional ex voto of high craftsmanship, in 24k gold or 1000/1000 silver plated gilded brass. From the Latin phrase “ex voto suscepto”, meaning “from the vow made”. 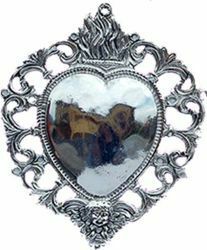 This votive ex voto is delivered in a cardboard gift box with a Certificate of Origin and Guarantee. Dimensions: cm 8,5x6,5 (3,3x2,4 in). 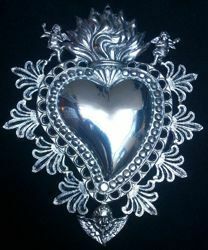 Devotional ex voto of high craftsmanship, in 24k gold or 1000/1000 silver plated gilded brass. From the Latin phrase “ex voto suscepto”, meaning “from the vow made”. 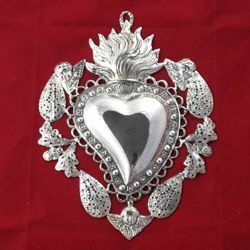 This votive ex voto is delivered in a cardboard gift box with a Certificate of Origin and Guarantee. Dimensions: cm 21x6,5 (8,3x 2,6 in). 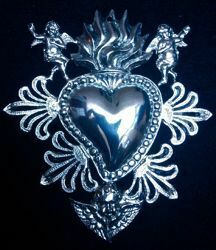 Devotional ex voto of high craftsmanship, in 24k gold or 1000/1000 silver plated gilded brass. From the Latin phrase “ex voto suscepto”, meaning “from the vow made”. This votive ex voto is delivered in a cardboard gift box with a Certificate of Origin and Guarantee. Dimensions: cm 20x6,5 (7,9x 2,6 in). Devotional ex voto of high craftsmanship, in 24k gold or 1000/1000 silver plated gilded brass. From the Latin phrase “ex voto suscepto”, meaning “from the vow made”. This votive ex voto is delivered in a cardboard gift box with a Certificate of Origin and Guarantee. Dimensions: cm 15,5x6 (5,9x2,4 in). Devotional ex voto of high craftsmanship, in 24k gold or 1000/1000 silver plated gilded brass. From the Latin phrase “ex voto suscepto”, meaning “from the vow made”. This votive ex voto is delivered in a cardboard gift box with a Certificate of Origin and Guarantee. Dimensions: cm 13x4 (5,1x1,6 in). 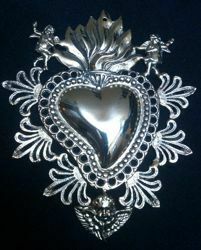 Devotional ex voto of high craftsmanship, in 24k gold or 1000/1000 silver plated gilded brass. From the Latin phrase “ex voto suscepto”, meaning “from the vow made”. 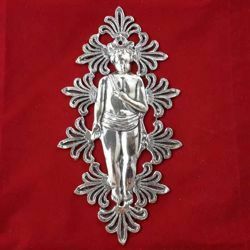 This votive ex voto is delivered in a cardboard gift box with a Certificate of Origin and Guarantee. Dimensions: cm 18x9 (7,1x 3,5 in). 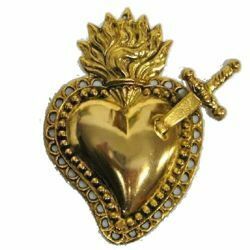 Devotional ex voto of high craftsmanship, in 24k gold or 1000/1000 silver plated gilded brass. 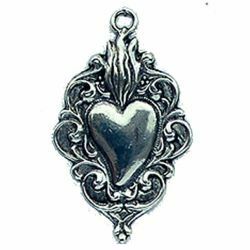 From the Latin phrase “ex voto suscepto”, meaning “from the vow made”. 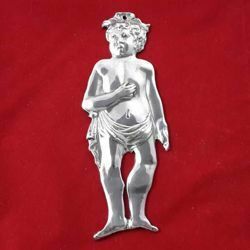 This votive ex voto is delivered in a cardboard gift box with a Certificate of Origin and Guarantee. Dimensions: cm 8x11 (3,1x4,3 in). 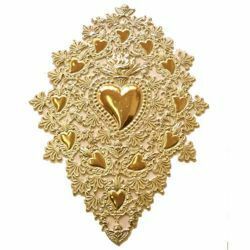 Devotional ex voto of high craftsmanship, in 24k gold or 1000/1000 silver plated gilded brass. 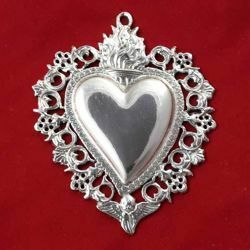 From the Latin phrase “ex voto suscepto”, meaning “from the vow made”. 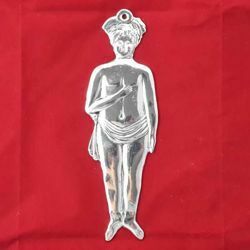 This votive ex voto is delivered in a cardboard gift box with a Certificate of Origin and Guarantee. 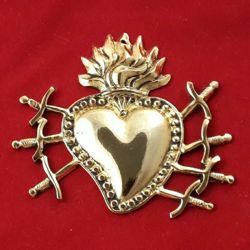 Sacred heart of Jesus enclosed by flames, St.Peter's keys and an Angel. A sword pierces the heart: a symbol of the heart of Mary, but also a signifier of a soul identifying with the sorrows of Mary. 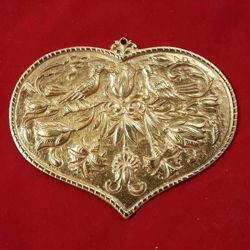 Ex voto of great effect, with sacred hearts, angels and cherubs.24k gold and 1000/1000 silver bath. Dimensions: cm 30 x 42 (11.8 x 16.5 in).